WORDS GIVE RISE TO UNIVERSES! Everything in existence is composed of sound and language, vibrating at specific resonant frequencies, that can be scientifically measured, and even altered. instrument called a “tonoscope.” This allowed him to view the 3-dimensional physical image of various sounds, including human vowels and tones. He observed that the moving 3-dimensional shapes and formations composed on the tonoscope created precise geometric signatures. Dr. Jenny also noticed that when vowels of ancient sacred languages such as Sanskrit, Egyptian, and Tibetan were pronounced, the vibration took the shape of the written symbols for these vowels, while our modern languages failed to generate the same result. This suggests that by sounding sacred texts and singing sacred vowels in these ancient languages, it is possible to transform physical reality by influencing our cellular structure to resonate into a more coherent shape. In essence, Jenny was saying that the key to understanding how we can heal the body with the help of tones, lies in our understanding of how different frequencies influence genes, cells, and various structures of the body, and how exposure to specific sound vibrations and frequency signatures allows a person who is “out of tune” to heal. Through the 1990′s, Dr. Masaru Emoto performed a series of experiments observing the physical effect of words, prayers, music and environment on the crystalline structure of water. Emoto hired photographers to take pictures of water after being exposed to the different variables and subsequently frozen so that they would form crystalline structures. The results were nothing short of remarkable..
DR EMOTO'S WATER EXPERIMENTS PROVE, THOUGHTS, WORDS, INTENTIONS, AND SOUND CREATE REALITY! negative? If so, is there another way that you can say what you want from a more positive position? Dr. Jenny also noticed that when vowels of ancient sacred languages such as Sanskrit, Egyptian, and Tibetan were pronounced, the vibration took the shape of the written symbols for these vowels, while our modern languages failed to generate the same result. This suggests that by sounding sacred texts and singing sacred vowels in these ancient languages, it is possible to transform physical reality by influencing our cellular structure to resonate into a more coherent shape. Interesting. That backs up Itzhak Bentov's work as described in that video Brook posted (originally from SiriArc) on the Phase Shift thread. Isn't it wonderful when such claims are validated like this. Your vibrational frequency is not determined by the quality of your thoughts, but by the power of the words you verbally express. Equally so, your vibrational frequency is not determined by how often you react, but how lovingly you respond to the reactions you face. This is the new paradigm of 5th dimensional consciousness. how do i even begin? is it by telling you about how we've unwittingly been CAST into the MOLD of ancient SPELLS of our modern SPELLING? CAST just like a MOLD, or perhaps like a NET? while caught, like fish, in the net of spells and spelling that have been cast, thus SENTENCING us to LIFE SENTENCES and the CURSES of CURSIVE which are just TERMS, just like serving a PRISON TERM. So we've been SENTENCED to the WARDS of these WORDS which can be deadly as SWORDS if misunderstood or perhaps you missed the understanding of my TERMS or the SYBILS of my SYLLABLES, or even the ancient RITES of writing?? We Languish in our languid Language, in anguish ever since the ancient times of the Anglish angus and the PhonY Phonetic Phonics of the ancient Phoenician Pheonix. You think English is easy? No matter what language you speak, all words and alphabets come from the Phoenicians. More importantly, the meaning behind these words control everything from commerce and the banking system to law and religion. For example, the word religion can be viewed as Ra-legion. 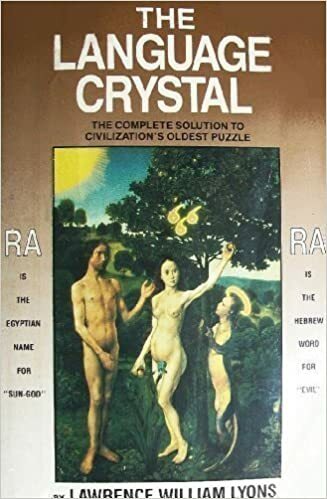 Ra is the Sun god and legion means "great in number" so religion means a great number of people who worship the sun god, Ra. Every name has a symbolic meaning as well. For example, the word religion can be viewed as Ra-legion. Ra is the Sun god and legion means "great in number" so religion means a great number of people who worship the sun god, Ra. Every name has a symbolic meaning as well. For example, when Cain slain Abel, Cain metaphorically killed A-Bull, or the Age of Taurus, which is why the bible is written in terms of astrotheology.For example, when Cain slain Abel, Cain metaphorically killed A-Bull, or the Age of Taurus, which is why the bible is written in terms of astrotheology. You will find two common letters together within many names. These letters are "el" which means "god" and is represented by Saturn. In Genesis 1:26 (or the Genes of Isis 1:26), it says, "Let US make man in OUR own image." Who is US and OUR? The Elohim or the EL-ohim. Related: BLOODLINES: Let US Make Man In OUR Image - Who Is 'US' And 'Our'? Even the word bible can be viewed as bi-bel. Bi means two and the word "bel" comes from the Akkadian word, "Belu", meaning "lord, owner, master" and is cognate with the Hebrew word, "ba'al" as in Bealzubub, aka Ba'alzubub. From this, you have several meanings. The bi-bel is the story of two bulls. Bel is also the son of El, so it's a story of the God's son (or god's sun). Additionally, the word "bible" came from the Phoenician city of Byblos. As you go down the rabbit hole, you'll find out how Saturn is married to religion, which is why we exchange rings during marriage ceremonies (cere, from French cire "wax" (12c. ), from Latin cera "wax, wax seal, wax writing tablet," related to Greek keros "beeswax," and mony = moon(ey) or money). In astrotheology, Saturn is Satan, so who are we really giving our vows to? Santa is also a play on words for Satan, as Santa always rides a sleigh (slay). It makes you think twice about the real meaning of Christmas carols such as Jingle Bells (Ba'al or Bel, the sun of El) or Noel (No-El). With etymology, not only do you look at the root words, but you also look at what the word sounds like. This is called phonetics, as in "Hooked on Phonics" or more appropriately, "Hooked oh Phoenicians". For example, the word "on" is also the same pronunciation as the word, "Anunnaki" or "On-unnaki". The U.S. Government knew this in the 19th century when it forced Native American children into government boarding schools. Today, volunteers build schools in traditional societies around the world, convinced that school is the only way to a 'better' life for indigenous children. But is this true? What really happens when we replace a traditional culture's way of learning and understanding the world with our own? SCHOOLING THE WORLD takes a challenging, sometimes funny, ultimately deeply disturbing look at the effects of modern education on the world's last sustainable indigenous cultures. How many languages are there ? There are approximately 6,900 distinct languages in existence today, though there may be languages spoken in remote areas that we have yet to discover. No matter how many new languages we find, though, this number will be much lower in 100 years. Linguists estimate that half of the languages currently spoken in the world will die out in the next century. That's because some languages have very few speakers -- about 96 percent of the world's languages are spoken by just 4 percent of the world population, according to linguist David Crystal. The most widely spoken language in the world is Mandarin, followed by Spanish, English, Arabic and Bengali. The words and language patterns that we choose to use in our daily lives have the power to shape our reality. Moment by moment we have a choice as to the vibration we are offering to the Universe to get reflected back to us as manifestations. As you know: ‘to think is to create’. However, there are two words in particular that lock certain beliefs into our subconscious minds and literally program the way we move through our life experience as spiritual beings. I AM. These two little words might only be three letters in length, but they have the tremendous capacity and almighty strength to sculpt every aspect of your life, right down to the most minute and insignificant detail. ‘I AM’ IS AN AFFIRMATION EVERY TIME YOU SAY it. Whatever you choose to pair it with is a prayer to the Universe, that you are declaring who you are and how you are choosing to define yourself as a spiritual being. You are OWNING that statement, branding yourself, offering a vibration and stamping a pattern to be repeated as a theme to manifest throughout your life. Every time you use the words “I AM” you are literally instructing yourself to think, believe, and feel a certain way. You are telling your subconscious mind what to filter out and disallow, and what to let into your awareness. You are commanding the Universe to form an outer reality which matches the declaration of what you just said. The good news is that you have the power to shift your awareness and rewire your patterns to set you on a new course of awakening. If you spend time shining a light on your limited language patterns it could change everything for the better. Try these, and see if you can drop them into your internal dialogue somehow: I AM Grateful I AM Happy I AM Loved I AM Healthy I AM Abundant I AM Joy I AM Peace I AM Truth I AM Power I AM Spirit It doesn’t take much attention to get the hang of using your words more wisely. You can even spend time intentionally each day focussing on affirmations that will help to rewire old patterns. The magic that will unfold in your life as the result of claiming new I AM statements is a game changer. You’ll also start to notice that you become more careful with the words you choose to use when you’re conversing with others. You are the only one who gets to decide on the word that comes next, after you declare “I AM.” Choose wisely. You believe what you tell yourself. Try it, be gentle with yourself, and enjoy the process of owning your new soul statements. Well we use it all the time don't we ? Can't think of a single day when the I am isn't used. We seem to be defining ourselves as being something or other. What eludes most of us is the simple realization of simply Being without any attributes attached to it. This is where it all begins but we seem to miss that " beginning ". The way it's written is a deconstruction of the mind in its own. Consciousness, uses language to refine itself. How did our symbols, letters, archetypes, and words come into being? Ryan McMahon Unpacks the esoteric structure of the English alphabet and shows just how powerful our words and speech is at upholding reality. This will unlock the deep psyche of wordsmiths. Drawing on greats like William Lawrence Lyons, Alvin Boyd Kuhn, and Thomas Szazs, and more.